When the prevailing west wind is blowing this hole represents a very tough par 4, and the start of the long walk back to civilisation. 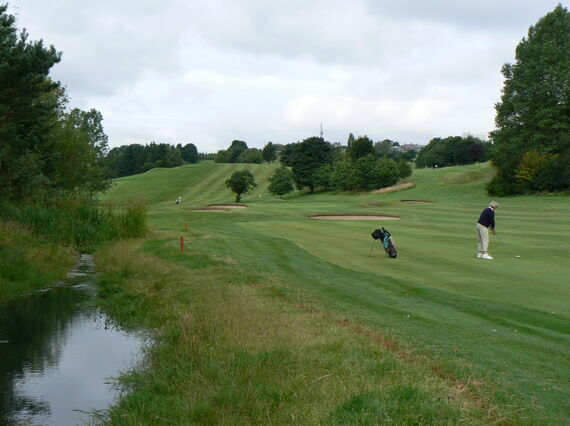 The drive for both men and women is across the Braid Burn which continues for half the length of the hole along the left side of the fairway with some unattractive country further left. 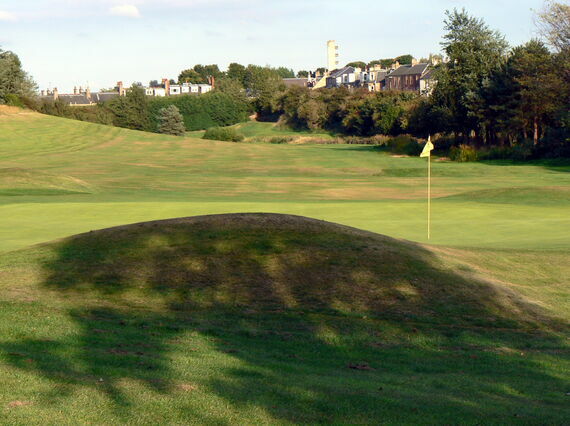 The fairway lies along the bottom of the Blackford Glen with a steep slope of rough on the right rising to the level of the fourteenth hole. 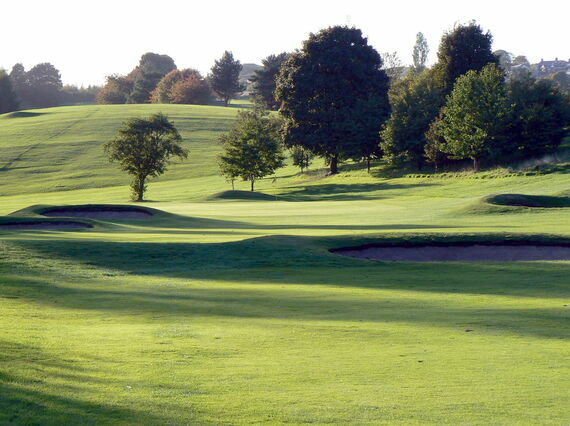 This slope, coupled with the recent introduction of a water feature on the left - part of the local flood defence measures and running along the left side of the fairway - can catch the unwary and wild hitter. The cross bunker a hundred yards short of the green is not likely to field many drives, but the three large bunkers guarding the green are very receptive when their turn comes.